It’s been over a month since The Dark Knight Rises opened, join Ian, Brent, Raph, and Juan as they discuss the film as well as TDKR mobile game for iOS and Android, as well as the recently wrapped Court of Owls storyline! It’s an old-school episode, so prepare for insanity! Let’s get it on! While the American comics publishers, and publishers in general, are making more and more content available digitally, the situation is quite different here in Japan. The traditional manga publishers — Shueisha, Kodansha, and Shogakukan — have been very slow to embrace the digital market. This week we meet Masanori Kinomiya, Representative Director and President of DML. 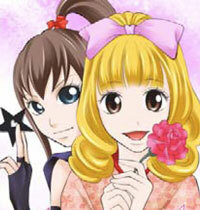 DML offers services to convert print comics to digital formats, and has created the G2 Comix line of original manga titles. G2 is doing well in Japan (where 80% of ebooks are comics! ), and around the world in a variety of languages. So why are the Big Three (and Japanese publishers in general) still putting out little or no electronic content? Kinomiya-san explains to Tim. Read DML’s company profile PDF, including statistics on ebook readership in Japan and a look at some G2 Comix titles. See photos below the jump. The PKD Black Box-Episode #50: Jetta Meets Billy Ocean & John Cena. Martheus and Janet Wade are interviewed about their latest Original Graphic Novel, Jetta: Tales of The Toshigawa – Full Circle, then Jon Carroll swings by as he and Shawn discuss the iPad 2 and Race In Comics, and later on Donny Salvo stops by as Shawn tells him about the strangest dream he’s ever had, which then lead to a slew of tangents to later finding out what John Cena and Donny have in common! This episode has everything you could possibly need! Enjoy. The Next Issue 40: Aitch hates games…or does he? It’s Issue 40 and we are STILL HERE!! While Kev is on vaca, Aitch and the crew move on…Although we know the comics crowd is SDCC’ed out, one other peice of news about Marvel anime broadcasting on G4 surfaces…score one for Jeph Loeb! Also in the headlines, the tablet wars heats up as RIM makes a push and then Elden geeks out over the Marvel vs Capcom 3 roster. In What’s (not) Tangling the Webs, the guys ponder over the disappearance of the Thor trailer. In 1st impresssions Aitch tells you why you should probably keep your hard earned dollars out EA’s pockets this summer in discussing NCAA 11 and what he gathered as a new gimmick in the upcoming Madden 11 game however why you SHOULD give DC comics their due in the new Batman: Under the Red Hood dvd. Aitch gives a brief synopsis of Thor 612, Amazing Spider-Man 638, The 6th gun and a few others and then the guys discuss upcoming games for the fall including Halo Reach, Spider-man: Shattered Dimensions, DC Universe Online and many more…and no we aren’t reviewing Starcraft II yet cuz we ARE NOT FINISHED YET!! !